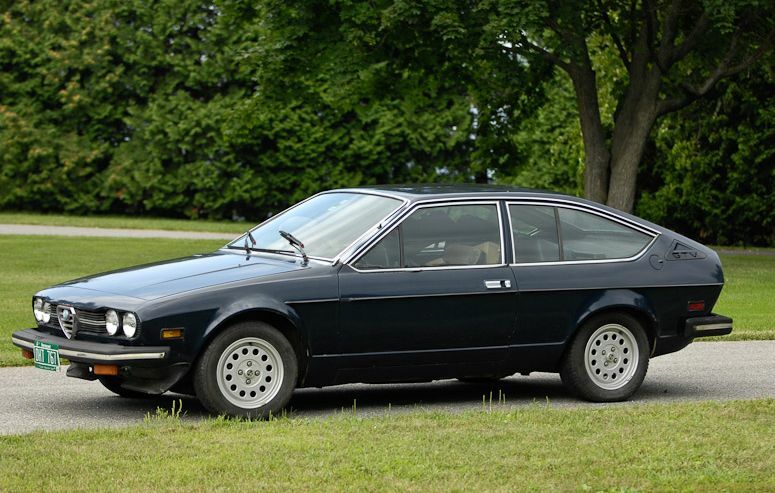 1976 Alfa Romeo Alfetta GT - OK, someone needs to buy this car. The seller is now threatening to part it out. I'd hate to see a little piece of my automotive history wind up in a scrapyard. Located in Charlotte, VT, click here to see the Craigslist ad. A big thanks to Chris, over at Rusty But Trusty, for pointing this out to me! 1994 Nissan Sentra - I'll be the first to admit that I'm not all that familiar with the Japanese car tuning culture. I'm not too familiar with the brands the seller mentions in his listing, but I'm impressed by the claimed results. I've always liked the Sentra SE-R. It's a great sleeper car. I suspect this one is a handful to drive, but I'd love to try it. Located in Elgin, IL, click here to see the eBay listing. A big thanks to JaCG reader, Cory, for sending me the listing for this car! 1965 Ford Mustang - I love "plain Jane" Mustangs. A 22,000 mile "plain Jane" 1965 Mustang is a very rare find. I got a little further info about this car from the seller and the story is interesting. He wrote: "A friend of mine bought this car in 1965 at Parson’s Ford in Kingston, NY for his daughter so she would to be able to commute to her first job as a teacher. She worked one year at the local school and then went to NYC to work for CBS. She never returned to live in Kingston but the car was registered and inspected until 1985 and stored in her parent’s garage. The owner would return occasionally to Ulster County and use the car to go for a drive on weekends. The total mileage on the Mustang is 22,500 and most of that was from the first year commuting to work, weekend drives, and the few short local trips I made with the car to auto shows after purchasing the car after both parents passed away... Body has a couple of dings and some spot repainting over the years but in great overall condition." The price is not cheap, but if the mileage can be verified, it's not unreasonable. Located in Kingston, New York, click here to see the eBay listing. Never heard of Parson's Ford in Kingston. Local Ford dealer there is Johnson Ford and, I think has been since 1944. Strange. Hi Alden - According to the seller, Parson's Ford became Johnson Ford.